Mountain Skills 2 builds on the foundation skills covered on Mountain Skills 1. 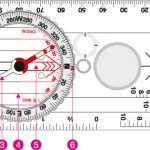 It covers using a compass along with the map, navigating at night and in poor visibility and moving safely over steep ground. This course is accredited by the Mountain Training Board of Ireland (the new all Ireland mountain training body) and is usually delivered through two days tuition in an upland environment. Our team are qualified Mountain Leaders, holding appropriate outdoor first aid certification. Instruction groups are a maximum of 6 participants to each instructor, enabling us to facilitate maximum learning for each participant. Participants should have attended a Mountain Skills 1 course and have had some experience practicing the skills gained there before attending this course. Price for tuition is €160 per participant. Participants must arrange to get to the venue and will need to bring adequate food and water for a day on the hill each day. There is a lot of learning packed into the two days and Saturday will incorporate an after dinner session on the hill. We can make arrangements to eat dinner together locally on the Saturday evening and participants may chose to stay somewhere locally or to travel home if the journey is not too long. We can organise a course close to you on other dates if you have a group interested. We also provide MS Assessments on request. ** Important ** If you have booked an activity with us before, please Log In before booking, that will streamline the process for you as we can re-use the data you provided last time.